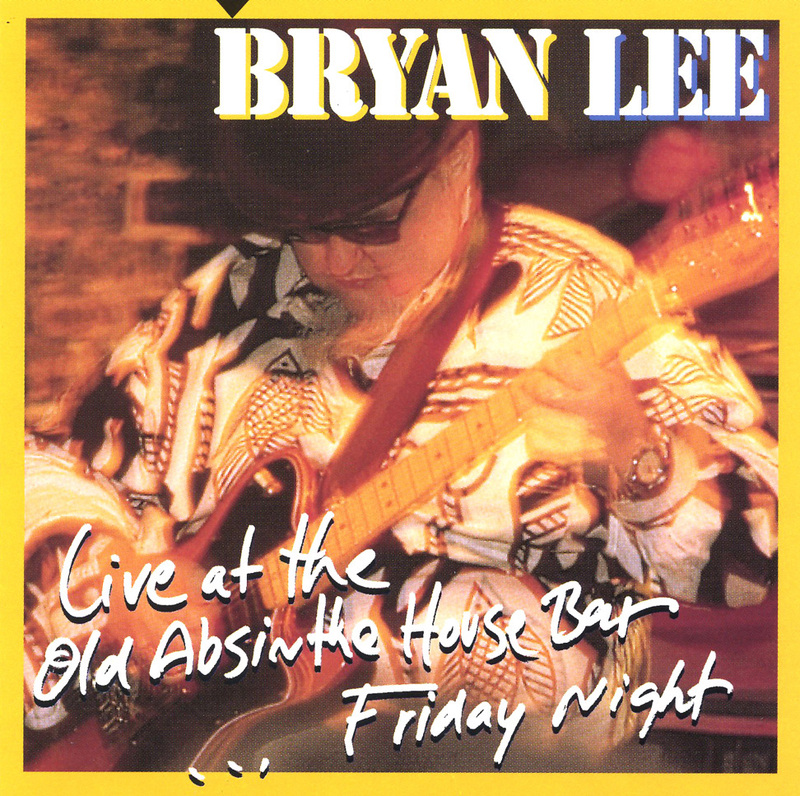 New Orleans bluesman Bryan Lee, a longtime fixture on Bourbon Street, where he can be heard five nights a week with his Jumpstreet Five, indulges in a pyrotechnic guitar summit on Live At The Old Absinthe House Bar...Friday Night (Justin Time 100-2: 71:46). Backed by his good rockin', hard shufflin' band, the blind guitarist cranks on his exuberant theme song "Braille Blues Daddy," Albert King's "Crosscut Saw" and Elmore James' "The Sky Is Crying." Harmonica legend James Cotton joins him on rousing renditions of "Ain't Doin' Too Bad" and "Five Long Years," then Lee goes toe-to-toe with guest guitarists Kenny Wayne Shepherd and Frank Marino. Now, Shepherd I understand. The promising young bluesman holds his own in the company of Lee's own version of bluespower on the Freddie King vehicle "Going Down." But Frank Marino? Former leader of Canadian heavy metal band Mahogany Rush? Strange choice, that. Sure, the guy flies up and down the neck of his guitar like lightning on "Look On Yonder's Wall" and freewheeling jams with Bryan and Kenny Wayne on "Key To The Highway" and "Rock Me Baby," but sheer speed does not a bluesman make. Lee, a burner in his own right, is more indelibly tied to the real deal, as he eloquently demonstrates on his fifth recording as a leader.